With simple, fresh ingredients and an intimate diary-approach, this book really is something to get your teeth into. “Tessa Kiros was born in London to a Finnish mother and a Greek-Cypriot father. The family moved to South Africa when she was four and, at the age of 18, Tessa set off to travel and learn all she could about the world’s cultures and traditions, and new ways of living and eating. She has cooked at London’s The Groucho Club and in Sydney, Athens and Mexico. On a trip to Italy to study the language and food she met her husband, Giovanni. 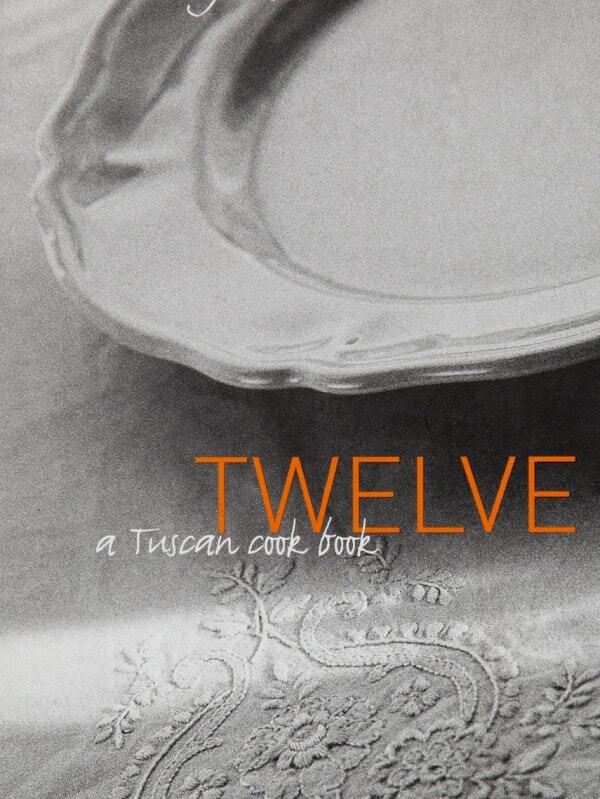 Twelve, her first book, is a celebration of the beautiful, soul-satisfying foods of that region. A 12-month journey through the tastes of Tuscany. In this exquisitely photographed book, Tessa Kiros uses each month of the year as a device to explore and record recipes in seasonal cooking with fine ingredients. Her personal observations throughout reveal the nuances of the Italian meal. “The Store Cupboard” has tips on filling the pantry with the right ingredients. The “Basics” section provides preparation instructions and recipes that Tuscan home cooks learned from their parents and grandparents. Substitutions for harder-to-find ingredients are offered along with encouraging tips on improvising to suit any taste. Wine notes and a glossary round out the book.